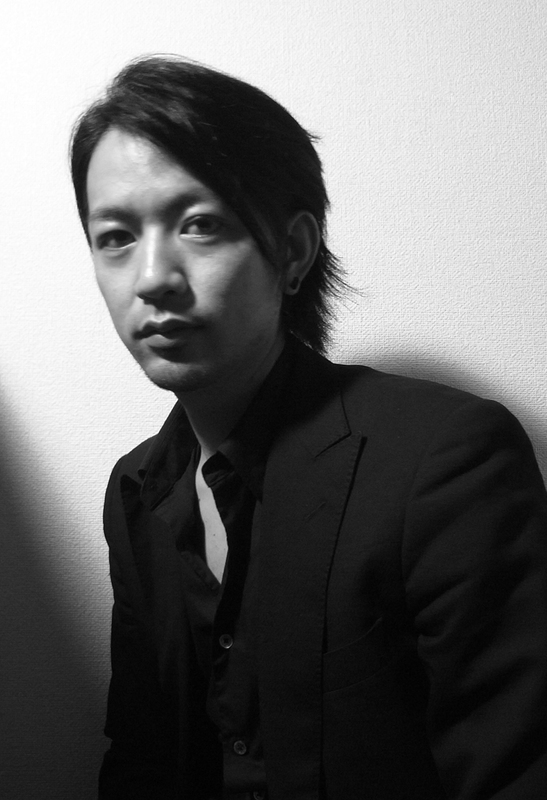 Most of us have already heard about Yasutoshi Ezumi design and this time SwO decided to get some straight answers from the designer himself. We were curious to ask some questions about his last collection ’Designare’, which was presented last month during the Tokyo Fashion Week. For those who are not familiar with his work, here are a few facts you might want to know. His style is structured, sharp and always, and always, innovative. So, be prepared for something new and fresh every season. Also, keep in mind nice and warm colors of his garments for they are edgy and elegant at the same time and make it so easy to match different things. Last but not least, we just adore his impeccable sense of what is modern and comfortable to wear, so every piece is both a treat for the eyes and a great comfort during the day. Let’s hear what he has to say about fashion! What is it like to be a fashion designer? In your opinion, what does it take to become one? I always dreamt of becoming a fashion designer. It feels natural to be in a creative process. What one likes, one does well. So, you must love what you do. What made you turn to the fashion design? First time I made a piece of clothing. Your design is always very constructive and structured. Where does it come from? Firstly, I have few ideas for theme and then I always do a research on the subject. And I follow my brand concept: ‘Creation idea comes from researching logic in the life, phenomenon, society, culture and environment’. The concept of brand is to have a full understanding of the chosen notion of ideas and logic, and then combine elements from these ideas in order to reconstruct and create something completely new.Design, as it should be. Is there anything Japanese in your design? Would you consider your style Japanese? I have a Japanese background, and I think the process of creation differs from the Western way of approaching design. Let’s talk about your latest collection “Designare”. What was your inspiration? Could you share some details on the working process and memorable moments of it? ‘Designare’… The word ‘design’ originates from the Latin word ‘designare‘, meaning to mark out or to plan.So, one of the definitions for design would be ‘A plan for arranging elements in such a way as to best accomplish a particular purpose’. The key inspiration for this season was found through researching about the relationship between demand and supply, in other words – the design and a mass production. It was also inspired by the Eames House by Charles & Ray Eames. The Eames House was built completely of prefabricated parts with materials, which came ready-made off the shelf. This idea was an epochal style of architecture at the time. The house construction is based on 2.25×6 meter module with the frame mane from the steel. The exterior was colored with modern art, while the interior was kept in a simple and minimal style. Using industrial prefabricated parts the designer of the house succeeded in creating an original and humorous space. Inspired by the concept of Eames house, it was possible to have a new style of craftsmanship in the era of ready-made fashion. This season is about rearranging existing parts and details of contemporary garment construction. The plan and design to create a new form and use in fashion. The F/W 2014 show was amazing, how did you come up with the idea? I found the concept of EAMES house while researching on the word ‘design’. EAMES house is rearranging existing parts to creation something new, so I thought to myself, I could apply this to the fashion design. What do you find difficult while creating a new collection? Narrowing down to one idea from a huge amount of research. The idea could be anything but it’s difficult to find the best one. If I find it while designing, it goes quickly. 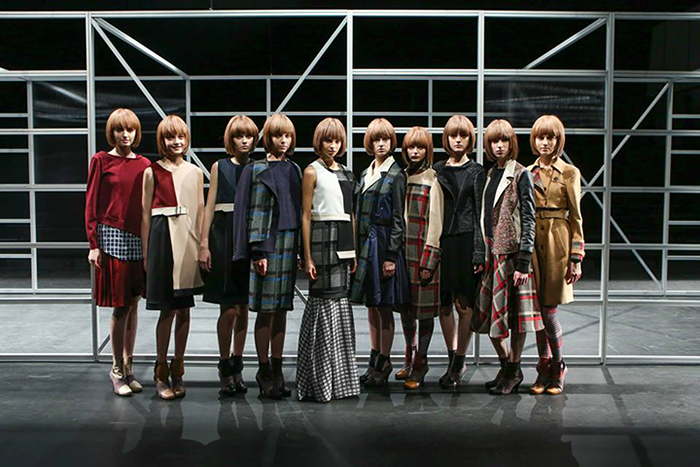 Is fashion a hard-to-achieve business in Japan? How did you start your own brand? It’s hard to achieve business anywhere in the world. I started my brand, because I wanted to do it badly. The brand needs to have a good management and a strategy. It’s a very general question, but what do you think fashion is all about? What does fashion mean to you? Fashion is clothing, statement and atmosphere. For me it is a creation. Is your design for every girl or do you design for a special type of girls? I like making things and the process of the creation. I wouldn’t say it’s for everyone. My design is for someone who really likes it.